The Disney Springs Social Media Moms Challenge was a lot of fun. I started on an amazing journey almost four weeks ago with #DisneySMMC 2017 Land and Sea celebration. While thinking about all the magical experiences and pixie dusted adventures shared, I thought of one that was both. 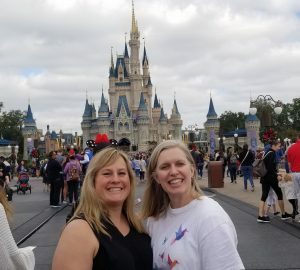 The Disney Social Media Moms Challenge at Disney Springs was on my top 10 list and for so many reasons! We were given a $250.00 Disney gift card to take our shopping skills to the next level. This challenge had three categories:1. Disney-fied fun 2. Disney Bounding 3. Savvy Fashionista. For those of you who know me, I love every category, but chose Savvy Fashionista. Because I love a challenge on getting an amazing look for an amazing price. My best allowed me to accomplish just what I needed, to give other Fashionistas a run for their money! With so many trendy shopping options at Disney Springs, as well as fine dining and small bites, I knew this day would be right up this princesses palace pathway. As soon as I arrived at Disney Springs I stopped into a shop my friend ( I just met for the first time on this trip , but have known on FB for years) suggested. 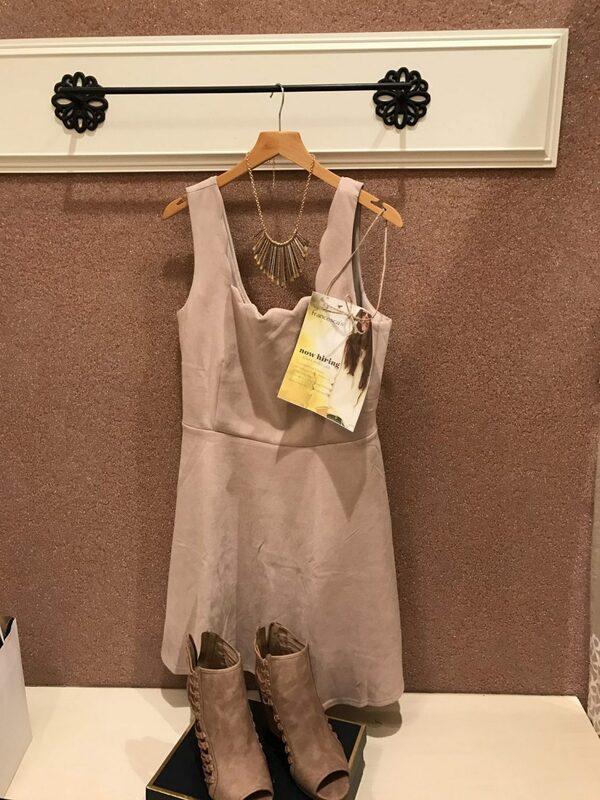 Francesca’s is a trendy fashionable retail shop with great sales going on. I immediately went to the sales rack and found several options. 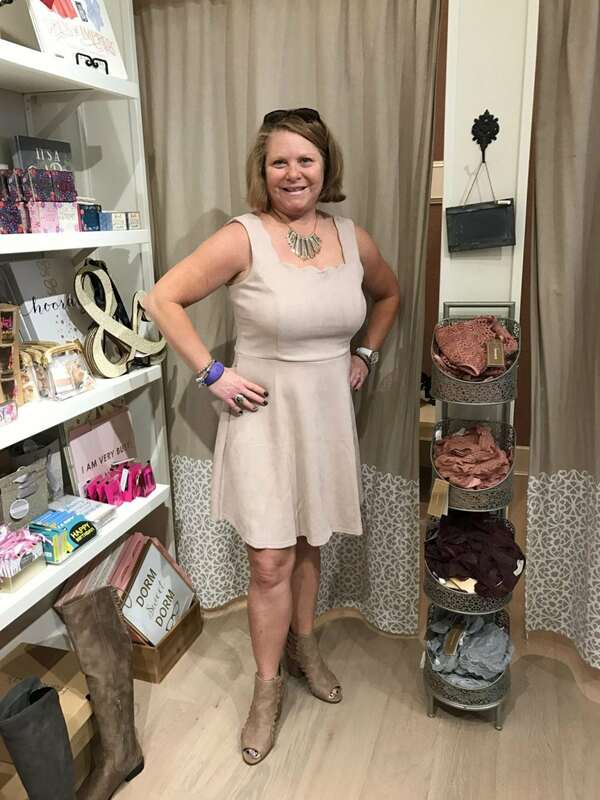 I went with a faux suede taupe tank skater dress for $24.99,70% off, a pair of peep toe booties, $29.99, 70% off, and a necklace my friend choose, and was perfect with my look. The necklace was edgy and fun, and 70% off too, $14.99!!!! So my entire starter look cost less than $100.00, I was so excited. Where I had to go next to finish up my look was at the forefront of my mind and I made a mouse line straight to “The World of Disney”, the largest Disney character store, with something everything on anyone’s list. Purchasing Doug ( the dog with the cone of shame collar from UP) and some dog neckties to accessorize my “best buddy”! 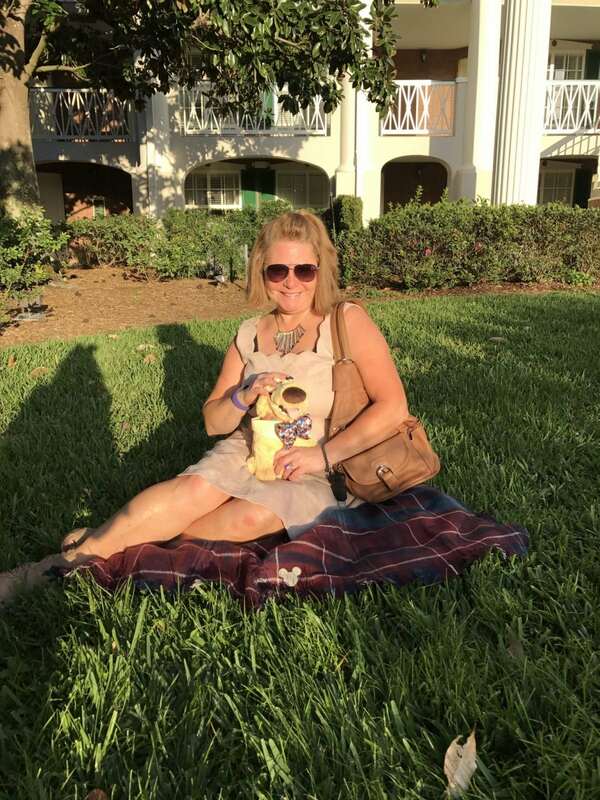 A blanket/wrap was purchased to use as a prop, sunglasses, and the Mickey bag that you can purchase with any purchase over a certain amount to carry all my Fashionista finds. This total came to around $80.00. I had one more item to purchase, but first lunch, hot pretzel and fresh lemonade from “Wetzels Pretzels “, AMAZING! I finished up my look and shopping challenge in about 3 1/2 hours with my last stop at a kiosk that sold leather goods, I purchased a leather sling bag to carry my buddy dog for around $49.00. Gift card was put to good use and completed the exact look I was going for! 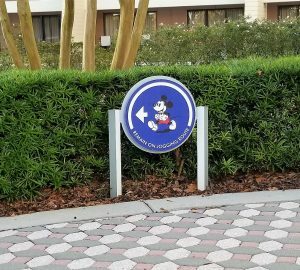 I staged the place to show off my look back at Disney’s Port Orleans Riverside Resort, right outside my guest room on the lush green lawn. My look was me and “Buddy” on a picnic day out on the town, both looking dapper and dressed delightfully. This challenge had me at shopping Disney Springs, the rest was pure fun and fancy free coordination. I love the way our completed look played out and enjoyed this challenge so much, I thought it only “fitting” to write up a blog post all about my adventure! The name is so perfect for the classic Floridian village of shops and dining experiences. I make it a must do stop on every Disney trip. Gift card was given to me to use for this social media challenge and all opinions are mine and mine alone. It was all part of the #DisneySMMC 2017, a yearly event for social media moms/dads and their families. 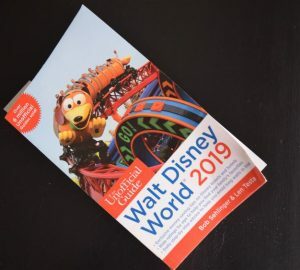 I paid a fee to attend conference and stay with Walt Disney World Resort . Thank you so much Jindy! It was great to get to meet you and chat, hope your trip was amazing.